Solitude is a good thing when it’s just you, a fly rod, and an Appalachian stream—which may explain why some resorts and private landowners are inclined to add “No Trespassing” signs to the streamside ambience. A few recent steps in that direction on the upper Watauga River reflect how the trend is playing out in the North Carolina High Country. Already privatized adjacent properties on this prime section of river range from a Christian alcohol rehabilitation facility to the Twin Rivers development, both of which stock the river for paying guests or members. Twin Rivers attracted attention to a growing regional trend last winter with an explosion of metal signs along N.C. Highway 105. One large sign dangles on cables over the river and asserts its exclusivity. Resort expansion in the area has also closed other once publicly accessible fishing sites, among them Blowing Rock’s Chetola Resort. 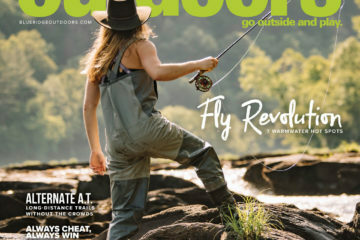 Stream privatization received added attention recently when local fly fishing outfitter Patrick Sessoms spoke out against the practice in last fall’s Boone Film Festival. 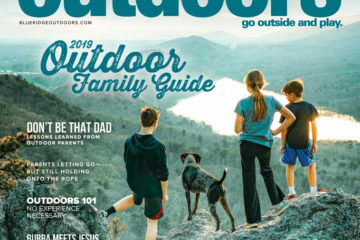 Outfitters and guides may play their own role in the problem, says Doug Besler, Mountain Region Fisheries Supervisor for the N.C. Wildlife Resources Commission. 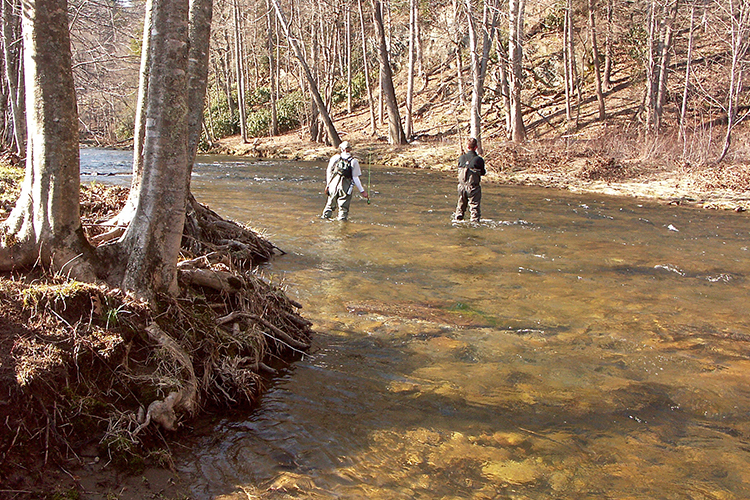 Southern Appalachian resorts have long commercialized fly fishing. The resort town of Linville got its start in 1892. Angling images from that era still adorn the chestnut-paneled walls of Eseeola Lodge. For a fee, public lodge guests can cast on a private five-mile stretch of the Linville River. Under the director of outdoor programs Alan Burchell, anglers have a full range of rentals and lessons to enjoy as they fish reservable sections of the river called beats. Linville’s seventeen beats lie between Grandfather Golf and Country Club on the north and southerly Linville Land Harbor. The private status of the river was more noticeable recently when stream habitat improvements were undertaken, including deepening pools, improving oxygenation, and eliminating two nearby ponds that fed warm water into a stream that trout prefer to be cool. Burchell touts these improvements as “some of the good things that come with having a private part of a stream. We can truly mandate that anglers use barbless hooks and practice catch and release.” And the benefits, he asserts, flow downstream. Ensuring the exclusivity of such private waters and compliance with the rules requires security that can range from video surveillance to hired wardens who patrol daily and even at night. “Fifteen years ago, there was more water available to the public,” admits Burchell, a longtime Southern Appalachian angler. “We’re becoming more limited on put-ins and takeouts, too.” That limitation also affects paddlers and swimmers. Uncontrolled parking beside an overly popular swimming hole were factors in the Hound Ears river closure. 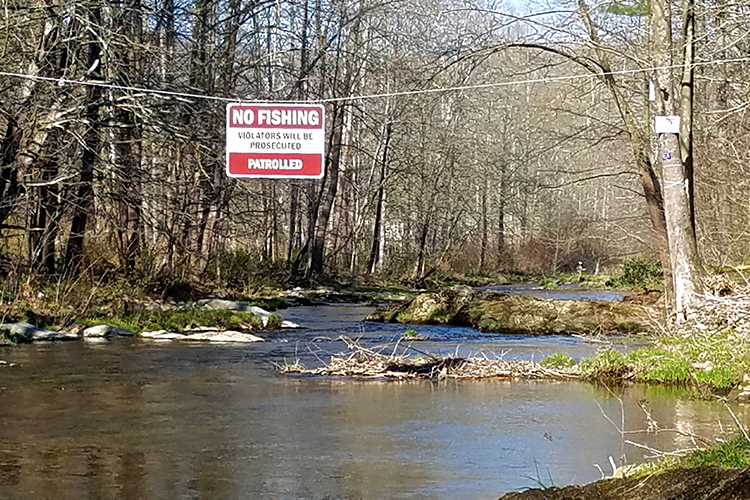 Wildlife officials stress that anglers can help forestall exclusion from private land by being courteous to property owners and being sure that they park discreetly, close gates, don’t litter, and ask when uncertain. Anglers, too, have blind spots. 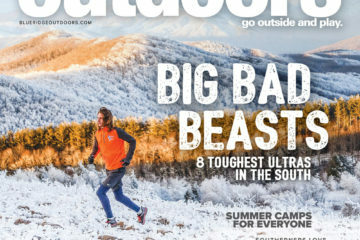 In some states, you can fish any stream below the high-water line, but “that’s definitely not the case in North Carolina,” assures Besler. 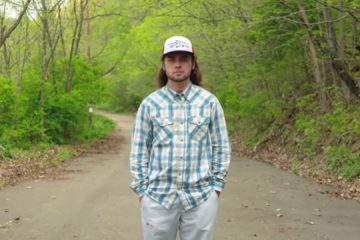 “The landowner owns the bottom of the stream. The water and fish are public trust. People are surprised by that.” Many also think they have access to any “navigable river,” but even “that’s a big source of confusion. Maybe that’s the French Broad in Asheville,” but not mountain streams, even in a kayak. Cynicism and outrage are understandable with exclusion of the public, but there are positive developments. 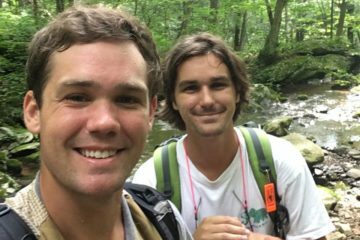 Two new sections of the Watauga have also been designated for public access and stocked by the N.C. Wildlife Resources Commission, including the mile-long ribbon centered on Valle Crucis Community Park, a privately owned, non-profit-run parcel. 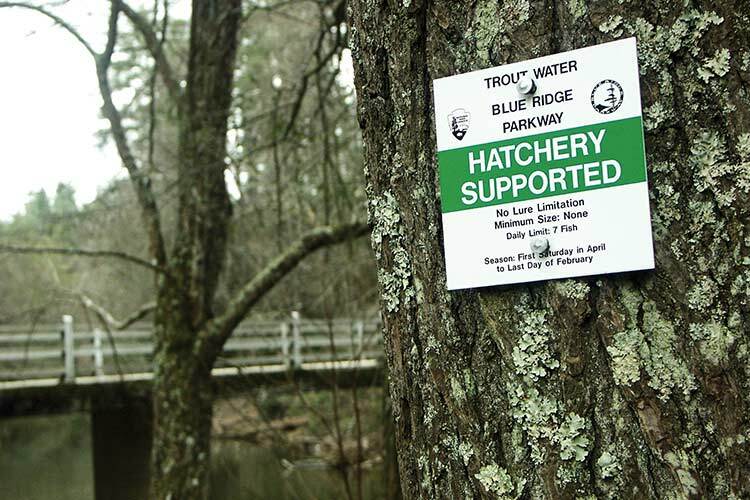 Two Watauga River put-in parks are being developed. And Boone’s expanding greenway system and Brookshire Park, both on the South Fork of New River, permit trout fishing inside of town.